Meet Slick Rick, Mr. Steel and Sweet Jimmy. Three Vietnam vets who are going to clean Detroit city up the hard way! Now playing at the Odeon, Marx and Regent theatres! 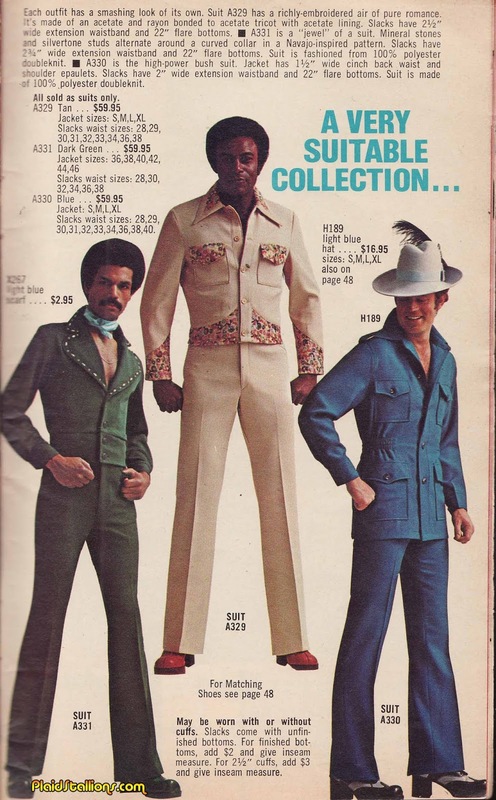 I like how the ad says " All sold as suits only" for fear someone would wear those pieces with something too flashy?